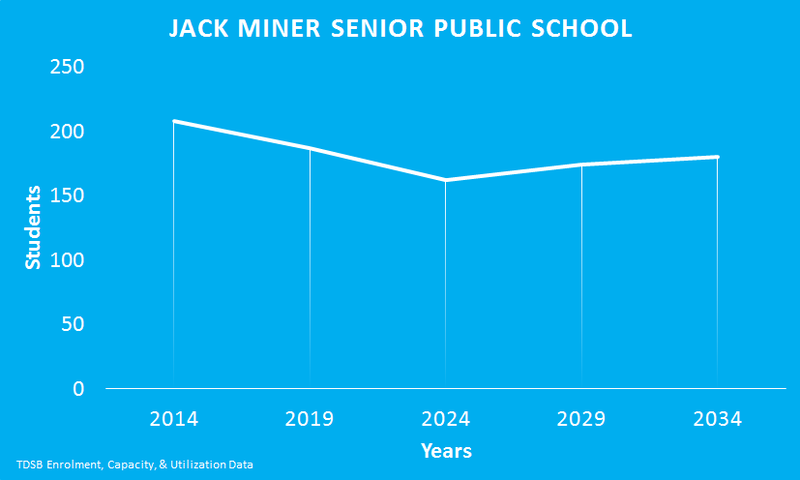 After a period of contraction, the TDSB projects that Jack Miner Senior Public School’s enrolment will begin to grow again in 10 years. Jack Miner Senior Public School, through the TDSB’s Behavioral Management Team, supports approximately a dozen students with exceptional behavioural needs. The school also hosts a Continuing Education program for Adult English as Second Language Learners.